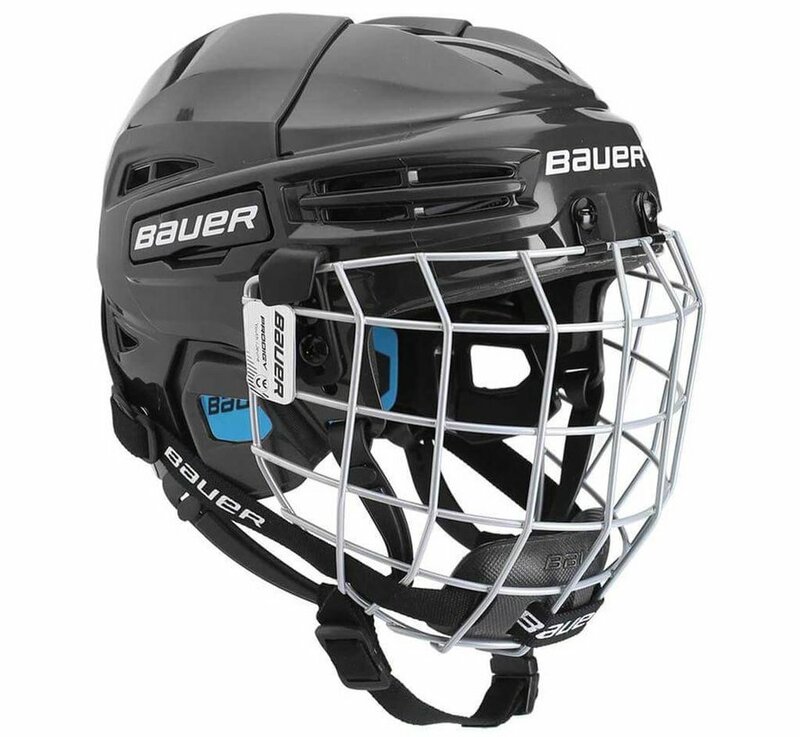 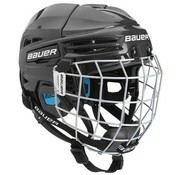 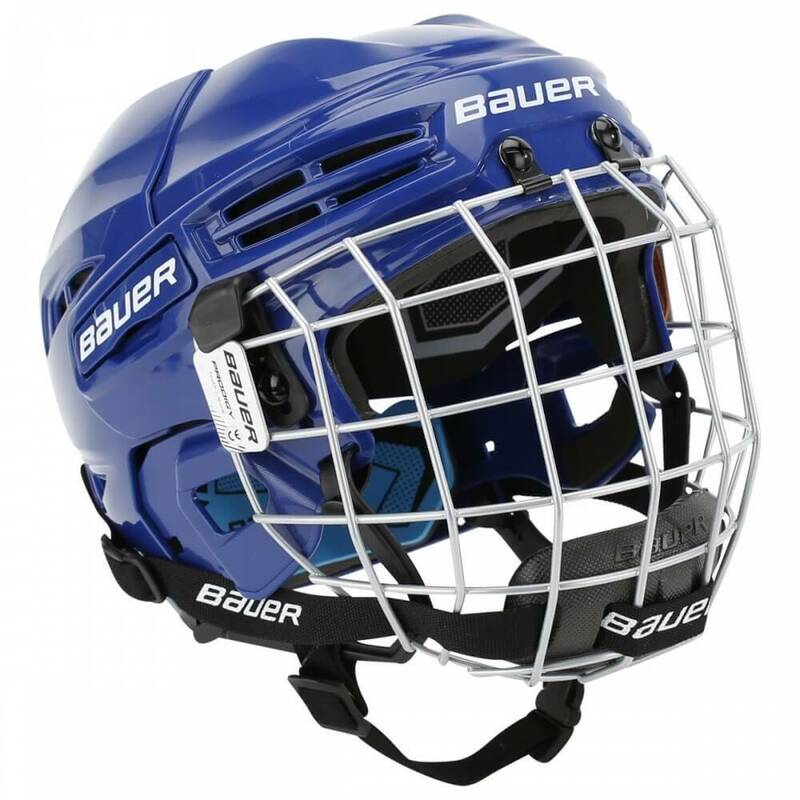 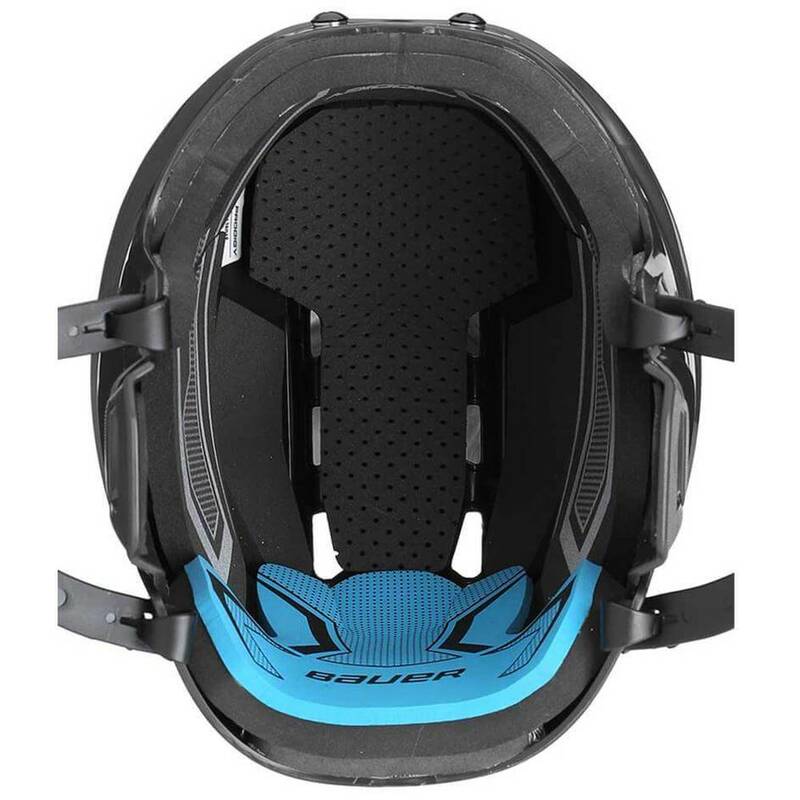 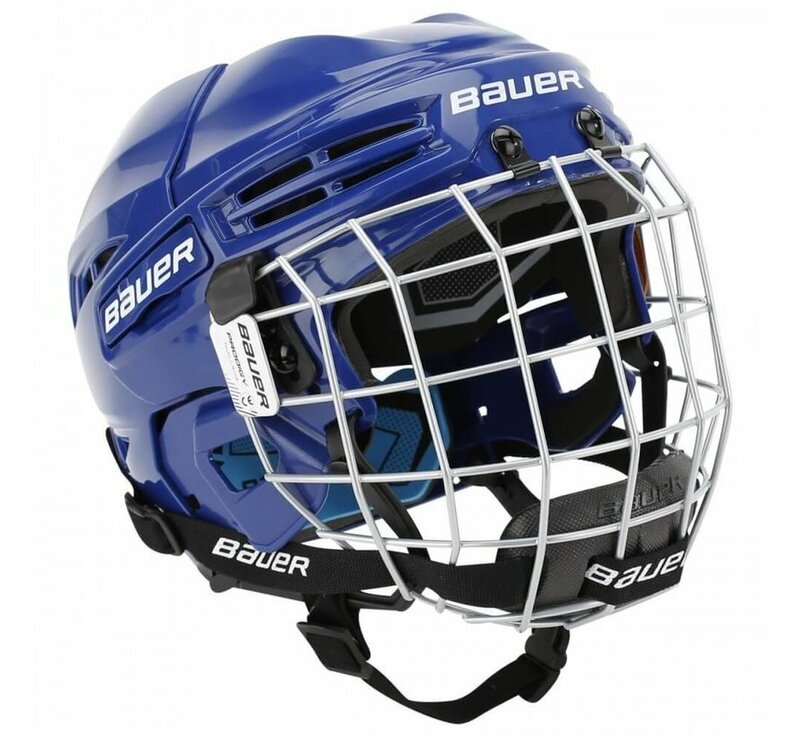 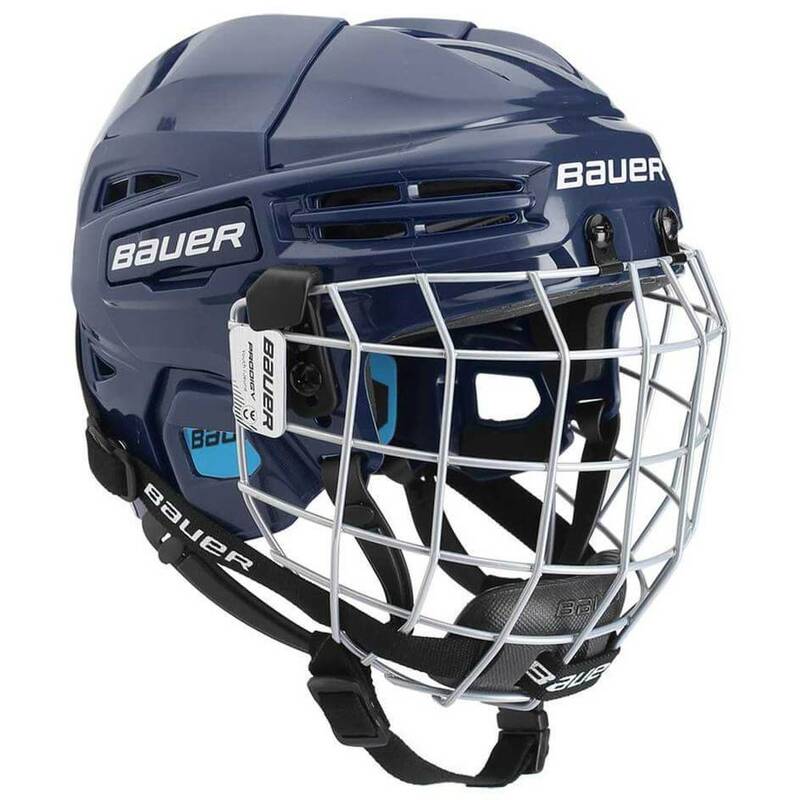 The Bauer Prodigy ice hockey helmet combo are an excellent choice for any young hockey player. 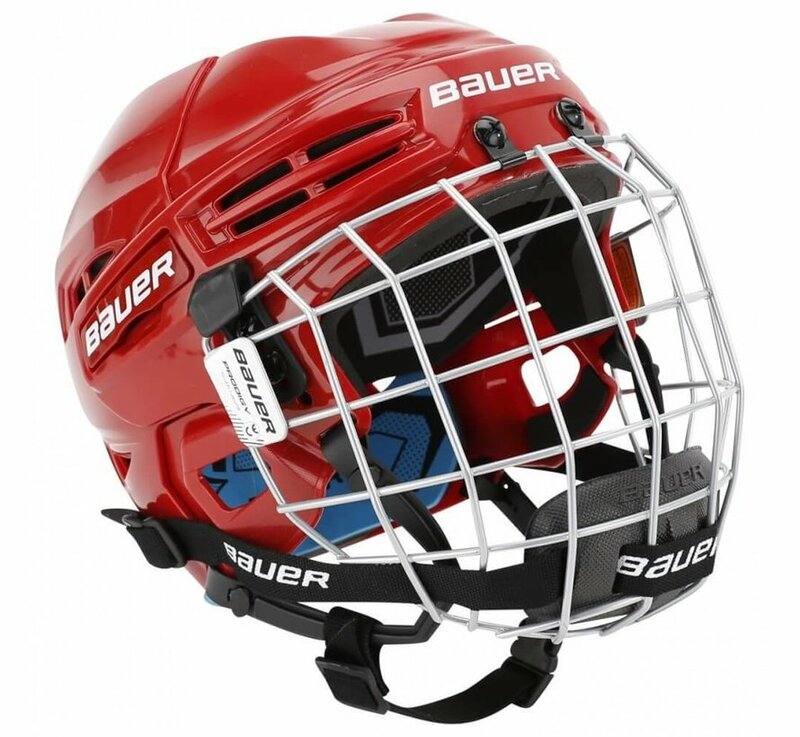 The Prodigy Helmet showcases youth-specific features like the quick-release chin strap buckle, quick-release facemask snaps, 4-position j-hook mounts and adjustable top-clips. 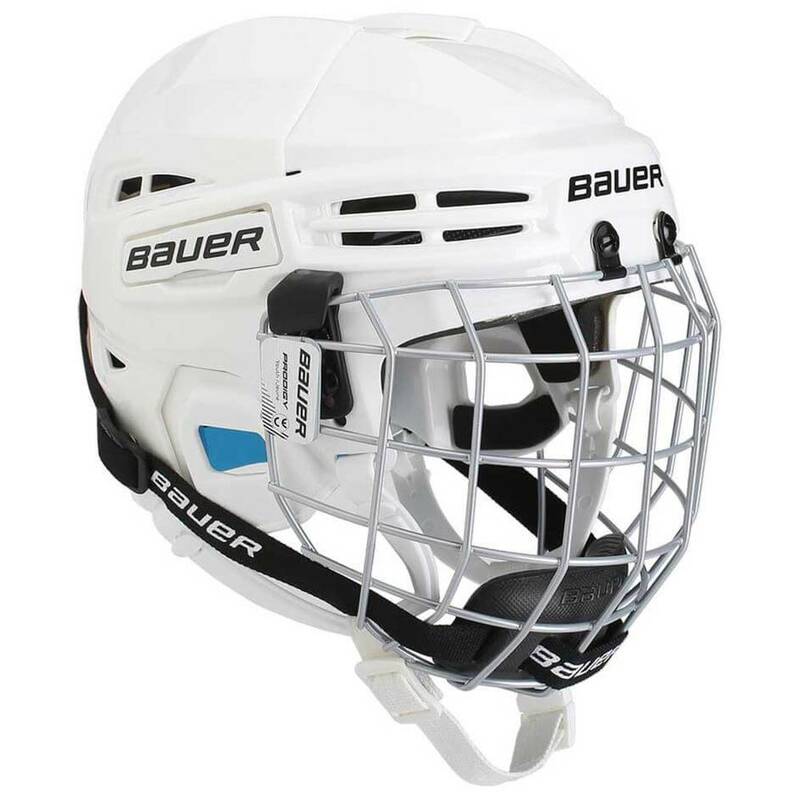 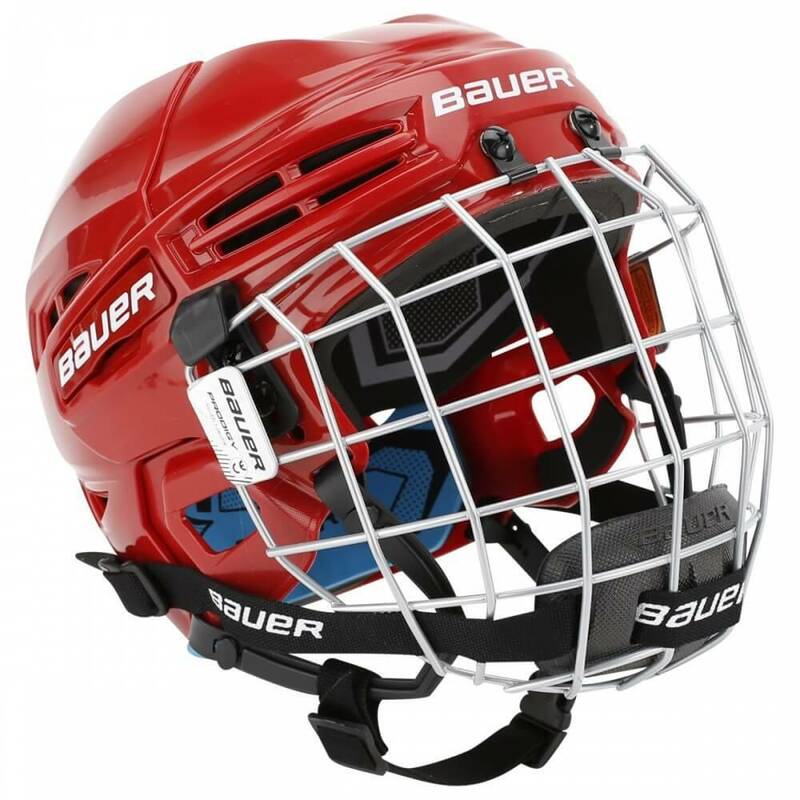 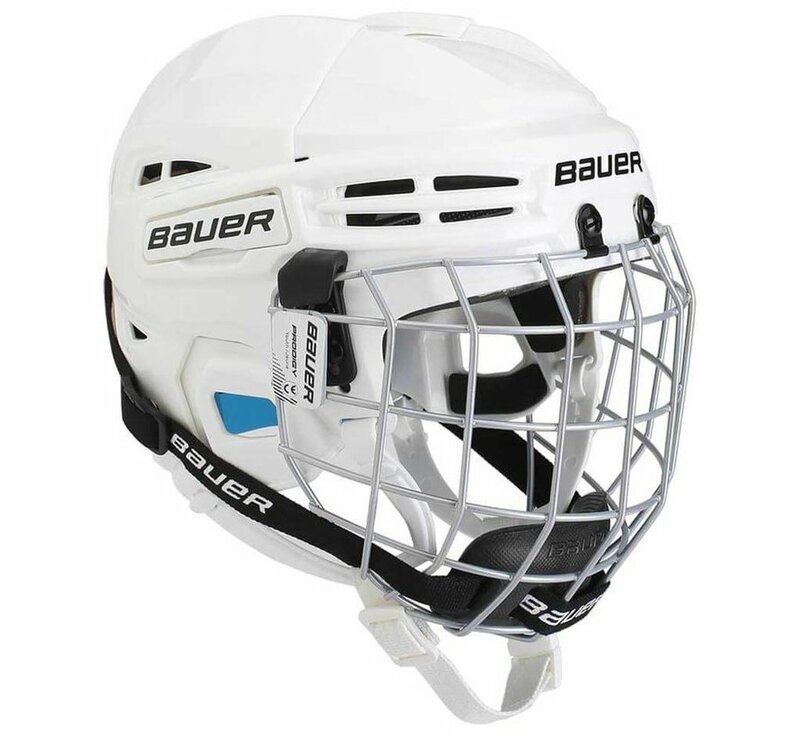 The chin strap comes with a traditional snap so that a player can adjust the length of the strap, but Bauer also included a quick-release buckle that any youth hockey player can use with ease. The facemask snaps on the Prodigy Cage slide on rather than snapping, requiring much less force to use compared to traditional adult helmets.